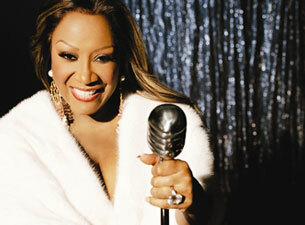 October 28, 2013 (Durham, NC) — Back by popular demand, Grammy® Award-winner Patti LaBelle will grace the DPAC, Durham Performing Arts Center, stage again on January 11, 2014. Her last performance at DPAC was a sold-out show in April of 2012. This show is presented in partnership with the DOME Group, Inc.
Friends of DPAC members may place their orders on October 31. Joining Friends of DPAC is free, and you can register at http://www.dpacnc.com/fod. Patti LaBelle’s Facebook page states: “A diva is someone who is a perfectionist, who does her best in her craft.” No truer words have been spoken about her. Whatever Patti LaBelle does, she does it with soul: she is a two-time Grammy® Award-winning singer, a New York Times bestselling author, and a three-time Emmy® Award-nominated actress. When not performing, Ms. LaBelle is an author and has written several books including her autobiography Don’t Block the Blessings (1997) and LaBelle Cuisine: Recipes to Sing About (1998), a diabetic cookbook. She has starred in stage and screen productions, including roles in the films A Soldier’s Story (1984) and Beverly Hills Cop (1984), an appearance in the Broadway gospel musical Your Arms Too Short to Box with God (1982) with Al Green and a recurring role in the television series A Different World (1990). Patti LaBelle is also a humanitarian who devotes much of her time and talent to many charities.